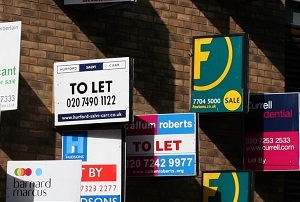 Estate agents reckon prices will shoot up another 50% in the next 10 years. There’s more bad news for those hoping to get a foot on the housing ladder today as estate agents predicted there’s still plenty of room for house prices to grow. A study by the Centre for Economics and Business Research (Cebr) for the National Association of Estate Agents (NAEA) and the Association of Residential Lettings Agents (ARLA – enough acronyms for you?) predicted that the average house price will soar by another 50% by 2015 to £419,000. Things could be even worse for first-time buyers in the capital, where prices could double to £931,000. When there are so many variables, predicting exactly how things will change in the next 10 years is no precise science. But, in the absence of another crash, it seems soaring prices are quite a likely prospect. The government keeps adding fuel to the fire with funding for first-time buyers and supply of new homes continues to be small. While it’s hard to believe that estate agents lament the soaring price of houses, the buoyant market is a double-edged sword for the property industry. High prices mean more commission, but if nobody can afford to buy a house then agents will have nothing to sell. The two bodies called for the government to boost supply by reconsidering building on the greenbelt, boosting support for the training of new builders and a stamp duty exemption for pensioners looking to downsize. Funnily enough, they didn’t call for reductions in Help to Buy or restrictions on the overseas cash that’s flowing into the market. Even if the supply of housing does get a much-needed shot in the arm, it seems unlikely that prices will stop soaring any time soon.